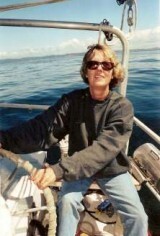 Why did I love sailing Alaska, the last frontier? Why did I love this archipelago so? I cannot begin to say precisely. It was everything; it was nothing! It was the beginning of a new adventure. It was the last frontier. All I know is the two years my husband and I spent aboard our sailboat in this amazing place have kept Alaska on my mind. 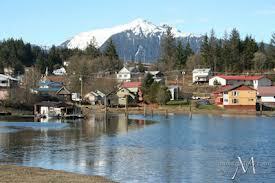 I have often wondered if my husband, Tom, and I had first seen the tiny town of Wrangell in pouring rain if we'd have been quite so taken with it, and sailing Alaska. Approaching Wrangell from the sea is like approaching a magic island. 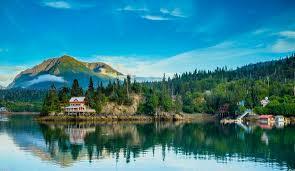 Set at the mouth of the Stikine River, the settlement nestles at the foot of towering snow-capped mountains on the mainland behind it. We studied the town for some time through binoculars as we approached and could see virtually no movement. Sailing Alaska we entered the silent harbor, tied to the transient dock and meandered up the dusty little road to town. The streets were mostly deserted in the early evening hours, and we were enthralled by the prevailing hush. We walked the length of the town three or four times laughing and talking quietly, for it seemed inappropriate to make any exuberant noises. The little settlement in Alaska looked like it had sprung straight out of the old west. The buildings all had western style facades, and I kept expecting Gary Cooper or James Arness to step out and draw his weapon. We were ready to stop traveling and sailing Alaska for awhile, and Wrangell had the right feel, so we spent a week securing moorage and jobs. Tom got hired at the boat yard, and I eventually found employment at the mill. 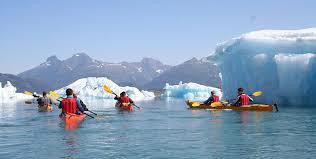 The beautiful weather we had experienced since sailing Alaska and our arrival in S.E. quickly passed, and the monsoons of October began. We had always believed that the Oregon Coast was the rainiest place in the world until we saw the rains of Wrangell. Overnight large skiffs in the harbor filled and sank. We walked the docks and saw the bows sticking up, held secure only by strained mooring lines. It was incredible, and still it rained. We quickly acquired tennies (high topped rubber boots) and we watched the deluge in awe. Could there possibly be this much rain in the world? Surely the rest of the world must be having a drought. After the Rain, the Snow! November 7th the rains ceased and the snow began, sailing Alaska was now not an option. Enchanted by the winter wonderland effect the white beauty of the snow performed on the little town, in a siege of enthusiasm we ordered cross-country skis from the local catalog store. We skied around town now after dinner, going over what we would in the spring find out were people's fences, staircases, gardens, and garbage cans. The streets were deserted, and we would glide along breathing in the clean, crisp air, looking for likely objects to ski over. And now the weather grew so cold the harbor began to freeze. Our pumps froze, bilge lines froze, even our bed froze. Nightly as we crawled into our bed I saw a line of ice slowly building along the hull by the mattress. Some nights the sheets would be frozen to the hull, and I'd have to jerk them free. It slowly and continually grew, and I studied the encroaching ice, vaguely wondering what to do about it and why I loved sailing Alaska. One day I discovered a thick layer of frost behind the cushions at the dinette. This discovery was followed by finding a sheet of ice under the bathroom sink. Everywhere ice and frost were creeping in. I found out what would happen to all the ice, incidentally, when I awoke one night feeling clammy. I looked over to see steam rising from Tom. Mattress, sheets, wool blankets, and pillows were sopped in water from melting ice along the hull. Chinook Winds had brought warmth at last. The Ice and Snow Melted! But our jobs provided us with time for exploration, and some of our favourite areas for exploring along the back channel were Madan Bay, Alaska where we found the biggest Dungeness Crab in the world, and Berg Bay, which had an abandoned goldmine nearby. We spent considerable time clamouring through the woods, swatting mosquitoes, looking for the Berg Mine, driven on by our visions of gold nuggets laying about. We panned for gold in a stream, but Tom never felt at ease when I was on guard duty looking out for bear. He complained about where I pointed the gun, how I carelessly swung it around, and my general inattention to predators, as I closely monitored his pan for those large, golden nuggets. 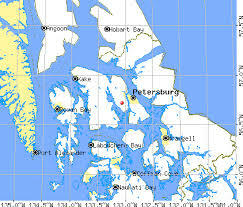 Farther on was the Anan area in Alaska, an area loaded with anchorages and a tremendous salmon run. But the bear observatory there had no doors or windows, and I wondered what kept the gargantuan, roaring creatures from coming in and observing us. In the other direction, we enjoyed St. John's on Zarembo Island, and sometimes we took a short run only as far as Roosevelt Harbor, a good stop for huckleberry picking. I made pints of huckleberry jam that summer, my first jam making experience ever, and was bragging about my accomplishment when one of my fellow workers said, "You don't have to worry about getting enough meat protein this winter anyway." "Those huckleberries are full of worms. Didn't you see them floating at the surface when you soaked them overnight?" I could only see all the pans full of fresh huckleberry cobbler I'd eaten. "Yeah. Just soak them in water overnight and most of the worms will float to the surface." Alas, when I soaked the berries, the water was indeed completely blanketed with little, white, wiggly worms. The Time Came to Leave! 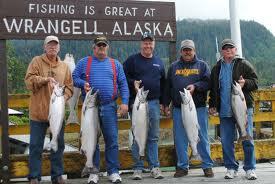 For two years we continued on in Wrangell and its environs in Alaska. There was comfort in the quiet land and tiny town. 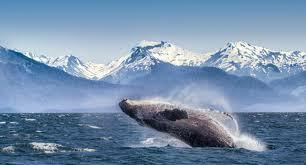 But finally, there came a season when we knew we had to leave and continue sailing Alaska. I knew all the people by the time we left. 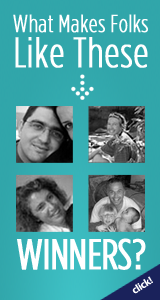 I knew their names, their sorrows, and their desires. I knew the eagle in his flight, the garnet beds in the river, the sharp smell of the brown bear, and the luxury of a happy heart. Our time in the north country was sheer poetry - poetry that echoed from the isolated islands to the solitary bays that beckoned us to enter and to take our ease. But, sadly, our wanderlust could not be contained, and so we said farewell to the vast and silent land we found so enchanting. You can read more about Becky Coffield's sailing adventures in Life Was A Cabaret: A Tale of Two Fools, A Boat, and a Big Ocean, a humorous, nonfiction travel adventure. Becky also writes under the name of R.L. Coffield, and is the author of Northern Escape, an award winning suspense novel set in the stormy archipelago of S.E. Alaska. Coffield has won many awards in fiction and nonfiction.